Many of you reading this have probably already played INSIDE. The Venn Diagram for 3D artists and gamers probably has complete overlap. 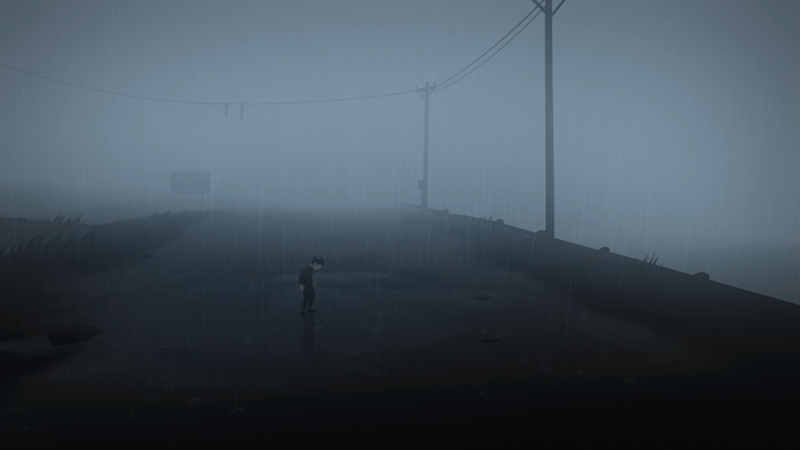 INSIDE was created by Playdead, a small Danish company best known for Limbo. Pretty much everything you see on INSIDE on the Intertubes relates to the story – it’s mysterious setting and rather shocking conclusion. It’s well deserved, there’s nothing else out there quite like INSIDE. However, the infamy of the story really overshadows what I think is one of the most polished pieces of game art that’s been released in quite some time. One of the things I find most inspiring about INSIDE is that it looks…..do-able. LOL, what do I mean by that? Well, it’s created in Unity (which is accessible by everybody) and the artwork finds its beauty in minimalist simplicity. The geometry of the sets and characters is all rather simple, as is the texturing. The animation appears to have been done by hand rather than motion capture (the animation isn’t ‘simple’ btw – it’s incredibly nuanced and full of life…but it doesn’t appear to have required a massive investment in mo-cap). The controls are simple – left, right, up, down…grab and release. What really stands out is the lighting and the fact that it looks like every single pixel in the game was gone over with great care. This loving attention to detail results some of the most atmospheric, moody and breathtaking visuals I’ve seen in a game. You really feel the world of inside. Complete immersion in a 2D platformer-style world is no small feat. Certainly, other games offer fantastic worlds with incredible immersion, The Witcher 3 comes to mind. I can appreciate the loving attention to detail in the Mastercrafted Cat Armor I parade Geralt around in, but I also look at the vast amount of modeling, sculpting, texturing, facial animation, smooth mo-cap, hair dynamics, and custom game engine lighting and shading. Then I calculate that this is just one of dozens of characters wearing one of dozens of outfits……and I think ‘I’ll never be able to make something l like this’. 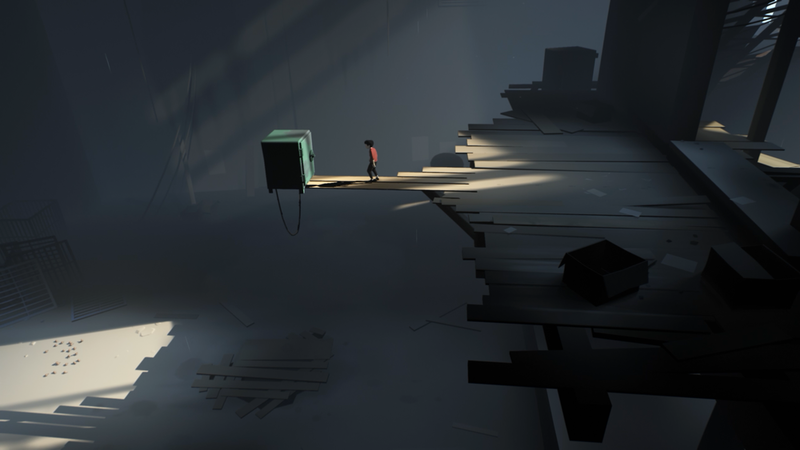 With INSIDE, my appreciation of the world they’ve created is coupled with the uplifting feeling that ‘this is do-able…a few committed and talented people can make this’. 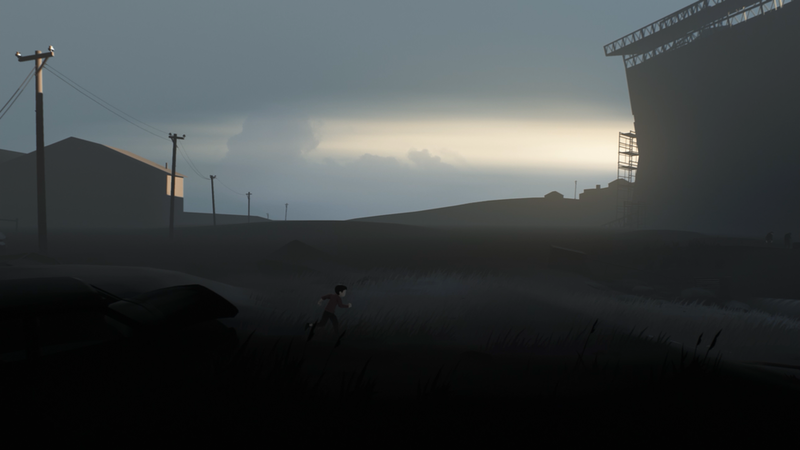 I should note that Playdead did get some money from the Danish Film Institute (which is great, IMO). 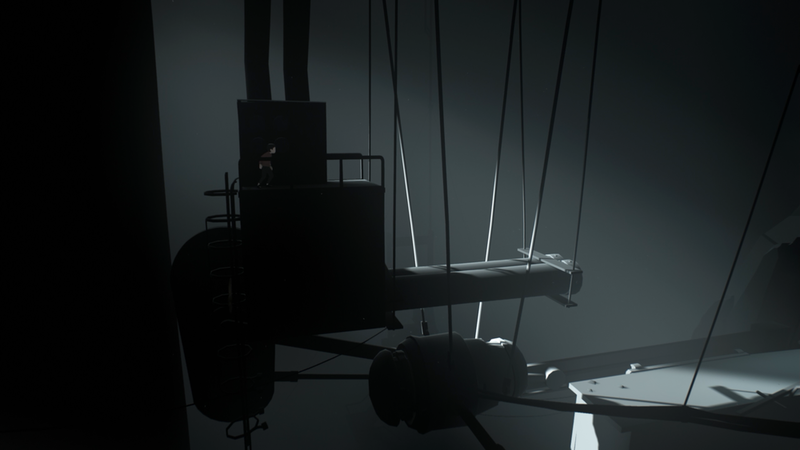 Games like INSIDE are every bit as deserving of funding as some Indie film). If you haven’t played this game head over to Steam, it’s only $20. Play it through once for the story and then play it again and take time to really appreciate the lighting, composition and animation. Take a peak at the images below - I tried to grab a decent selection (click to go full-screen). There's two lighting and composition techniques that really stand out. One is the use of harsh and dramatically bright slashes of light coupled with long dark shadows to break up the muted images and provide spots of interest to items or places in the game. Another technique is using a soft, glowing backlight to silhouette characters or important items in the game. Volumetic light rays will stream around dark outlines of simple back and mid-ground geometry to define edges and space. A sense of both depth and scale is given by the use of atmospheric fog throughout the game. When objects are receding into distant haze they give us a sense of how massive they are and how far away. Color is used a bit to highlight items in the game (both paint color and glowing lights) but not so much that's it's distracting or too obvious. Every single frame in this game had a lot of thought put into it regarding the composition and lighting. The texturing is very minimalist, mostly just muted colors. This doesn't detract from the imagery though, rather it seems to enhance it by keeping you focused on the big picture. The lighting is such a powerful tool to set the mood of the story. Maybe I can follow-up on INSIDE and grab an interview with the artist(s) who were responsible for the lighting. I really do think it's an incredible achievment and deserves every bit as much credit as the story for it's role in crafty the world of INSIDE.